The headlines were littered last week with news about new faces diving headlong into the publishing business. First, we heard that Boston Red Sox owner and hedge fund magnate John Henry was buying a controlling stake in The Boston Globe. Then, Amazon founder Jeff Bezos made public his intentions to buy The Washington Post. While both developments surprised some and raised eyebrows about the future direction of those esteemed newspapers, an upstart in the wealth advisory business made noise of its own as news broke that Wealthfront had snagged longtime journalist Davis Janowski to head up its content publishing efforts — sending a signal to the rest of the registered investment advisory world that the rules of engagement for marketing and PR have evolved yet again. The idea of brands becoming publishers of content is not new anymore, but in the investment advisory industry, the focus on this area is still in its nascent stages. 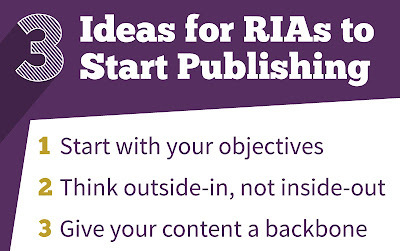 Now that an upstart has made a significant investment in its own content publishing and storytelling, established firms in the RIA community should be asking themselves: Am I doing enough to tell my firm’s story and harnessing the opportunities these developments are providing? Start with your objectives: What are you trying to accomplish? Who are you trying to reach? Writing the content for a blog or newsletter takes time. If you don’t have a focus or a goal, you’ll be spinning your wheels. Think outside-in, not inside-out: The mistake many financial services firms have made when foraying into the blogosphere is focusing the content on language and topics that matter to them, as opposed to the clients and referral parties with whom they are really trying to engage. 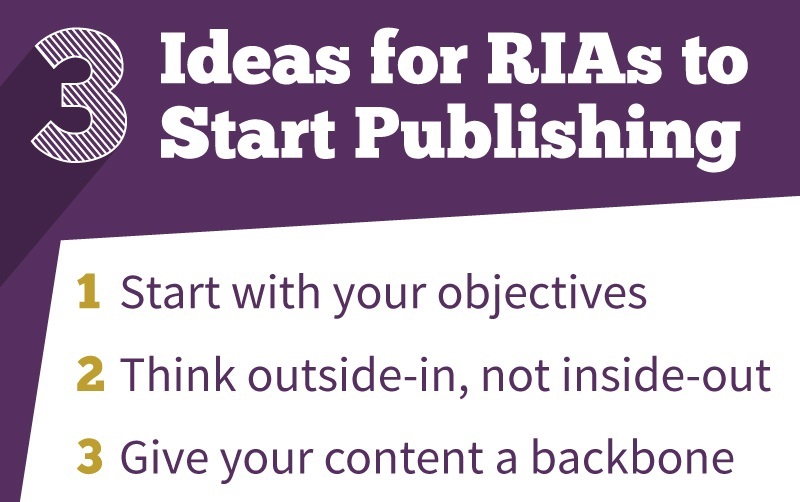 Instead, think about the topics in the context of how a newsroom would. Is this timely? How does this impact the reader? Can I give a real takeaway? Give your content a backbone: Once you have established your objectives, your audience, and your inventory of ideas, you need to create the infrastructure that will keep the effort on task. Just like a newspaper or magazine, you’ll want to have an editorial calendar and you’ll want to make sure that calendar includes a variety of ways to tell your stories. Infographics, cartoons, podcasts, and explainer videos can do more to tell your story and provide the shareable content that every publisher needs to be successful. Finally, it’s worth noting that the worlds of media relations, client communications, and website content have been irreversibly intertwined. Recognize that your firm’s communications efforts can no longer survive as a passive strategy and be proactive in setting your firm up for success. What other ideas should financial services firms be considering in their marketing and PR efforts? Is Wealthfront setting a trend? Weigh in with us here or on our Facebook page.